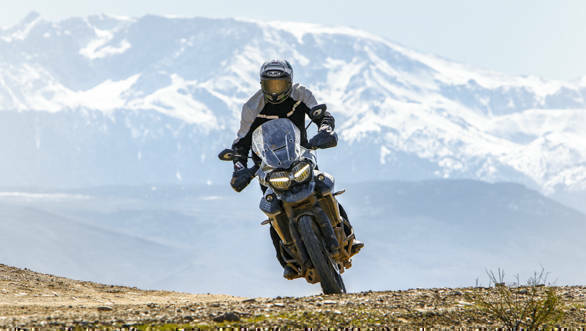 The Triumph Tiger 800 needs no introduction as the most popular adventure touring motorcycle in the country. The past few years have seen adventure tourers gain immense popularity. 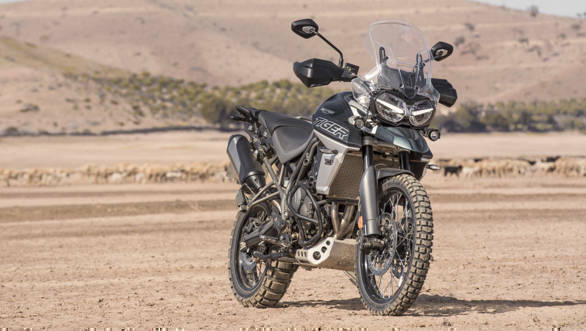 And as it turns out the Triumph Tiger 800 is one of the only off-road capable middleweight adventure tourers on sale in the country, the Tiger 800 has had little trouble doing well. Indeed, when we took the previous version into the mountains of Ladakh last year along with the Ducati Multistrada 1200 S, the Triumph Tiger Explorer and the Honda Africa Twin, it proved to be the best blend of abilities. For 2018 the Tiger 800 gets significant updates  Triumph claims to have made over 200 changes, cosmetic and mechanical both. So the 2018 Tiger 800 isn't an all-new motorcycle, but Triumph says it is a whole lot better to ride now, while boasting higher equipment levels. 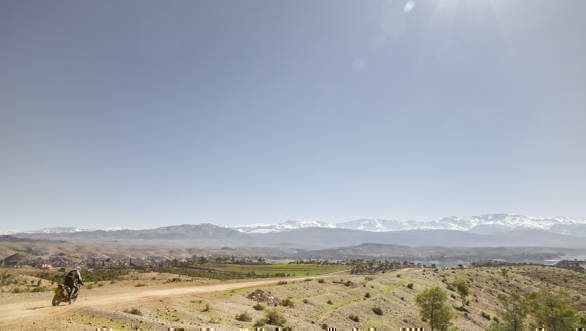 The global media ride was organised in the foothills of the Atlas Mountains in Morocco in North Africa, where we got to experience the motorcycle. 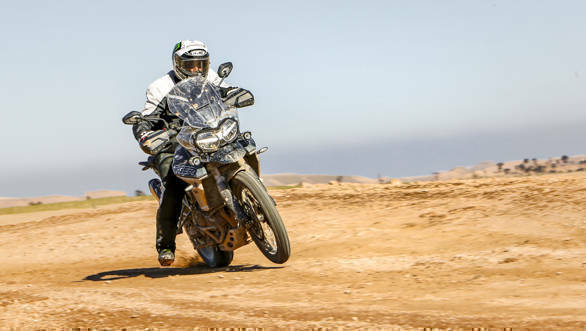 We rode the bike on the outskirts of Marrakesh, spending a full day riding it on the road  the region looks and feels startlingly similar to Ladakh, which meant the Tiger 800 felt at home. We also spent a couple of hours riding the bike off-road, which was a very interesting experience. Here's all you need to know about the 2018 Triumph Tiger 800. A lot of body panels have changed now, except for the fuel tank while the sides of the fairing now have large Tiger stickers. This means the 2018 Tiger 800 looks sharper and more focused, a change only echoed by the new, all-LED headlights. Like the 2018 Tiger 1200, the 800's headlights are now slashed horizontally by strips of LEDs that make for a very appealing look. Illumination from the all-LED headlights is impressive and the top of the line model from the off-road range, the XCA, gets auxiliary lamps as well. The headlights, we're told, are half a kilo lighter than before as well. The windscreen gets a new design, as many as five positions and an easier adjustment mechanism, thanks to which you can adjust the screen on the go with a single hand if needed. 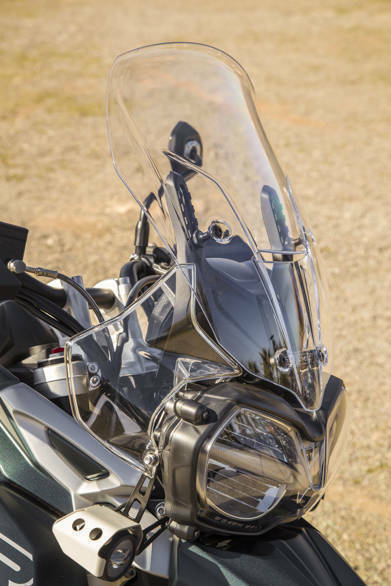 The screen is now flanked by wind deflectors on either side which Triumph claims channel air away from the rider, thereby reducing fatigue over long rides. 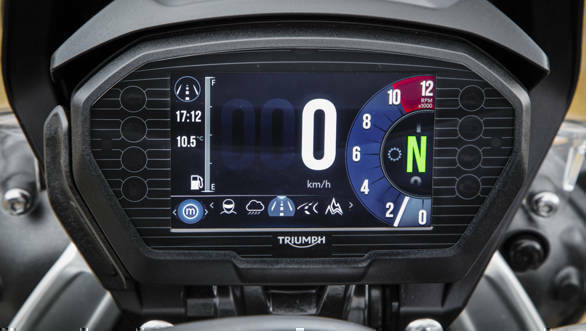 Another major change is the new 5-inch, full-colour TFT display we first saw on the Street Triple RS. The unit has made its way onto all variants of the Tiger 800 except for the base XR and looks and feels excellent and can even be angled to suit varying rider heights. Functions are accessed via the five-way joystick on the left side of the handlebar. The handlebar has also been moved 10mm closer to the rider to improve ergonomics, thereby offering better comfort and maneuverability. 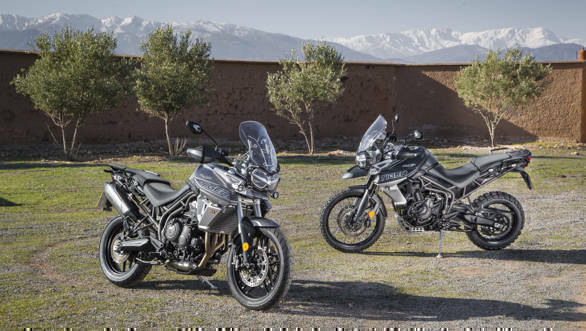 The Tiger 800 family is split into two just like before, with the XR line-up catering to those wanting on-road comfort, while the XC line-up focuses more on off-road riding. There's four bikes in the XR family including the XRX LRH with a low seat, while the off-road line-up has the XCX and XCA. Depending on which variant you're looking at, the Tiger 800 boasts up to six different riding modes, and the XC line-up now features Off-road Pro mode that turns traction control and the rear wheel's ABS off to let you slide the bike at will. The XRT version comes equipped adjustable 43mm front forks from Showa, which offers compression and rebound adjustment and boast 180mm travel. The XC and XCA feature 43mm adjustable WP forks that boast 220mm of travel. At the rear, the XR range gets a Showa monoshock with hydraulically adjustable preload, while the XC and XCA boast an adjustable WP monoshock with a remote oil reservoir and 215mm of travel. The 2018 Tiger 800's seat uses a new compound to offer better comfort and as I found out over the full day of riding, it is very comfortable as not once did I need to stand on the pegs owing to discomfort. All variants feature height adjustable seats, which should make them better for shorter riders. There's lots of minor revisions to the chassis all round too, which Triumph claims benefit the handling  on the road and off it too. The engine and transmission feature over 200 changes and the first impression was that the engine does feel smoother and quicker to rev now, particularly thanks to the new, lighter crankshaft. There's better mass optimization which contributes to better responses and higher refinement levels. Outputs haven't changed  the 800cc, liquid-cooled inline triple produces the same 95PS and 79Nm of torque as before but gearing has been altered to improve torque delivery, particularly at lower speeds. The first gear on the XC and XCA has been shortened which helps when riding off-road at slow speeds. The slightly shorter gearing overall also means peak torque is delivered at lower speeds, thereby offering a torquier feel, especially when climbing steep inclines. Then there's the revised exhaust system. I wasn't a huge fan of the older Tiger 800's exhaust note  it sounded whiny, but the new exhaust is lighter and more compact. It not only helps reduce overall weight but also sounds sportier and is more pleasing to the ears when pulling through the rev range. We first rode on-road, riding in the hills on the outskirts of Marrakesh. The region felt very similar to Lahaul and Spiti or Ladakh in India  the roads were narrow, slightly broken and bumpy, perfect to test the new Tiger 800's credentials as an adventure tourer, while the surroundings consisted of vast, arid lands and the mountains in the distance even showed off their snow-capped peaks. The temperatures were similar too, hovering between 10 to 12 degree Celsius, which is where the Tiger 800's heated grips were a boon! I rode the Tiger 800 XRT and XCA both on road  the first thing I noticed was the stronger pull from the engine at lower revs. As mentioned by Triumph, the exhaust note is sweeter too, especially as revs climb. The XRT offered a more engaging feel with its different suspension setup. There's a sportier and more confident feel to it and the fact that the front forks can be adjusted manually helped me dial up compression and rebound to suit my riding style. The XRT offers a more planted feel all round  the brakes allowed me to brake harder and later entering corners and the bike even felt more confident than the older version when leaning into corners. The XRT's smaller, 19-inch front wheel also offers more feel and feedback on the road as compared to the XCA's 21-inch wheel, just like before. The XRT's saddle height stands between 810-830mm, which is helpful for shorter riders. Putting both feet down or swinging a leg over to climb onto the motorcycle was thus not an issue. On the whole, the take away here is the more confident feel from the front end, particularly thanks to the new Showa suspension which benefits handling while the engine feels smoother and pulls stronger from low revs thanks to the revised gear ratios. Comfort over distances has improved as well thanks to the revised ergonomics and the new seat compound, and long hours in the saddle shouldn't be a problem at all. Let me begin by telling you that our lead rider for this session was none other than Nick Plumb  the youngest Brit to finish the Dakar rally and head of the Triumph Adventure Centre in the UK, which is Triumph's own off-road riding academy. And that made it truly special. To test the 2018 Tiger 800's off-road prowess we were given the XCA version again, shod with Pirelli Scorpion Rally tyres this time. These are on/off-road tyres and while grip levels on road were impressive, grip levels off it were excellent. We first tried off-road mode  traction control is off but rear ABS is on. 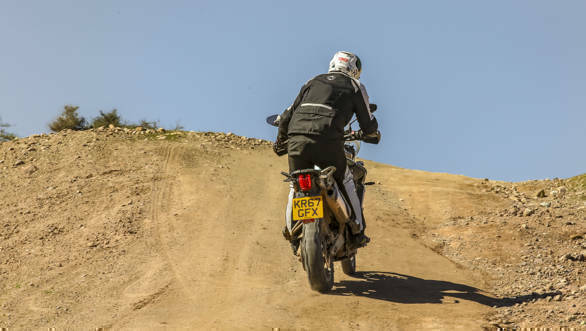 The longer travel WP suspension made tackling dirt and rocky sections easy, aided by the grip from the tyres and not to forget, the higher ground clearance. The XCA's seat height stands between 840mm to 860mm which is a bit of an issue for shorter riders. On the go, the torquier bottom end and shorter first gear made climbing up inclines a cinch  a constant throttle was all that was needed to climb up inclines. Next up was the switch to off-road pro mode that turns ABS and traction control both off for the rear wheel. This made locking the rear wheel easy to make quick directional changes on dirt. There's a light, agile feel to the Tiger 800  thanks to Nick egging me, I was able to do things I wouldn't have imagined doing on a middleweight adventure tourer. Overall confidence levels while climbing steep inclines as tall as two floors of a building or going down slopes were excellent. In fact there were moments when I approached an incline or slope and all I could see was the horizon in front of me, but the Tiger 800 made climbing up or down surprisingly easy despite the butterflies in my stomach! The altered engine map in off-road pro mode along with the smooth, precise fuelling on the Tiger 800 made sure progress even through the loose, gravel-y stuff was rapid. On hard packed surfaces the suspension setup offered serious confidence levels to keep the throttle pinned  there were times when I was clipping at over 100kmph! The suspension soaked up bumps well which in turn helped the bike stay planted, thereby allowing me to go fast. The Tiger 800 has always been impressive but was beginning to show its age. The 2018 update though brings the bike right back into the game. 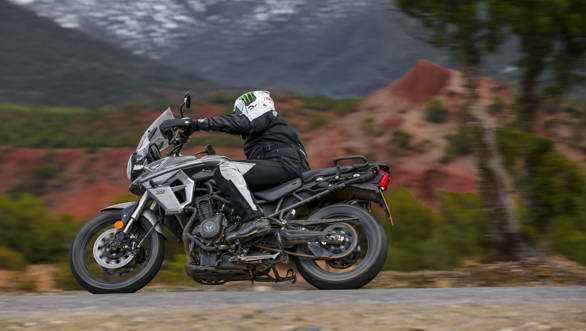 The revised chassis, suspension and engine updates make it friendlier and easier to ride in various conditions  the test location couldn't have been better as it truly allowed us to experience the bike in kind of conditions adventure tourers are ridden typically. The improved rider aids and higher equipment levels enhance the riding experience while also making the bike easier to ride in tricky conditions. The fact that despite being a near novice at off-road riding I was able to make it through all that I did, without putting the bike down tells me a lot of how much easier the 2018 Tiger 800 is to ride. Triumph India hasn't indicated an exact date but we believe the bike will be launched in the coming months, around March-April and when launched, we it is expected to command a small premium over the outgoing version. The variants expected to be launched are the base XR, the XRX, as also the XCX and XCA. In India the Tiger 800 will face off against the BMWs F750GS and F850GS that have just been launched at the Auto Expo, as also the excellent Ducati Multistrada 950 and the affordable and automatic Honda Africa Twin. Given it past success, it should be interesting to see how the new bike performs when launched.